Clothing/Jewelry Description A dark brown leather jacket, gray pants and black shoes. Distinguishing Characteristics Caucasian male. Black hair, brown eyes. Al-Farah is a native of Jordan. His nickname is Ray. He occasionally wears eyeglasses with silver metal frames. Some agencies spell Al-Farah's last name "Alfarah" or "Al Farah." He has a tattoo on his right shoulder; a picture of the tattoo is posted with this case summary. Al-Farah was last seen in the evening of October 16, 2003, at the Sky Club, a bar in the Detroit, Michigan suburb of Royal Oak. He checked his voice mail at 10:30 p.m. but there is no evidence of his whereabouts after that. Al-Farah's disappearance was discovered on October 17 when his uncle tried to call his cellular phone and got no answer. He has not used his phone or accessed his bank account since his disappearance. Four days after he was last seen, Al-Farah's family members reported his disappearance to the police. His vehicle, a purple 1996 Chevrolet Camaro, was located near the 3400 block of Lovett Street in Detroit a week after his disappearance. It had been stripped of parts and had to be towed. 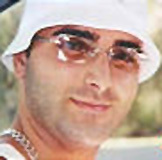 In November 2003, two men, Samer Fawaz and Bashar Farraj, were charged with first-degree murder and conspiracy to commit murder in connection with Al-Farah's case. Photographs of them are posted with this case summary. Investigators believe Farraj and Fawaz killed Al-Farah, possibly by a blow to the head, at their Sterling Heights, Michigan mortgage firm office. They had previously worked on real estate deals with him, and Farraj was described as Al-Farah's best friend. All three men were under investigation for possible mortgage fraud at the time Al-Farah vanished. Al-Farah's found on the carpet and walls at the mortgage firm, and more blood was found in Farraj's vehicle. A secretary at the mortgage firm testified that she saw Fawaz and Faraj cleaning up the bloodstains, which they told her were from spilled cranberry juice. Investigators stated that the amount of blood found indicated Al-Farah was deceased. His body has not been recovered, and the two men argued that as he may have fled the country to avoid prosecution for mortgage fraud. Fawaz and Farraj were acquitted of first-degree murder and conspiracy to commit murder in June 2005, but convicted of second-degree murder. Some agencies state that Al-Farah disappeared from Madison Heights or Detroit, Michigan. He was in the United States on a student visa and was studying for his second master's degree at Wayne State University in 2003. His family lives in Jordan. Foul play is suspected in Al-Farah's case due to the circumstances involved. Updated 1 time since October 12, 2004. Last updated September 25, 2005; picture added, details of disappearance updated.